Good news everyone! “It’s Always Sunny in Philadelphia” has been officially renewed for TWO more seasons on FXX. Charlie Day and his beard will grace your television screens a little longer. 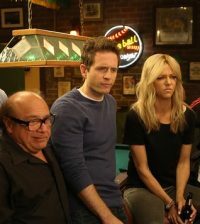 “Always Sunny” has been renewed for two seasons consisting on 10 episodes each, bringing the comedy series into season 12. 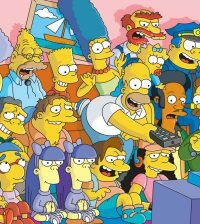 The series will become the longest-running live-action comedy in cable history, and its 12 seasons will tie My Three Sons for the second-longest-running live action comedy in TV history. The series was created by McElhenney and is exec produced by McElhenney, Day, Howerton, Michael Rotenberg, Nick Frenkel and Tom Lofaro. It is also one of ad-supported cable’s highest-rated comedy series among adults 18-49, 18-34 and men 18-34. It’s the first basic cable comedy to air in syndication on another network (Comedy Central). In other FXX news, they network has also picked up a new series from Tracey Morgan. The new untitled half-hour series was created by McElhenney, Day, Howerton and Luvh Rakhe. RCG will executive produce and serve as showrunners alongside Rakhe. Eric Tannenbaum, Kim Tannenbaum and Nick Frenkel will executive produce. The untitled project will be paired with the upcoming 10th season of It’s Always Sunny and launch in January.